So, my friend, the great activist, writer, and photographer Max Wilbert flew to Salt Lake from Eugene, Oregon and we made plans to drive from my home in Park City, Utah to Nevada to see both living pinyon-juniper forests and clear-cuts. We met up with Katie Fite, a biologist and the Board Secretary for the environmental protection group, WildLands Defense. Katie brings over 30 years of on-the-ground experience to environmental advocacy possessing expertise in the Great Basin’s ecology. 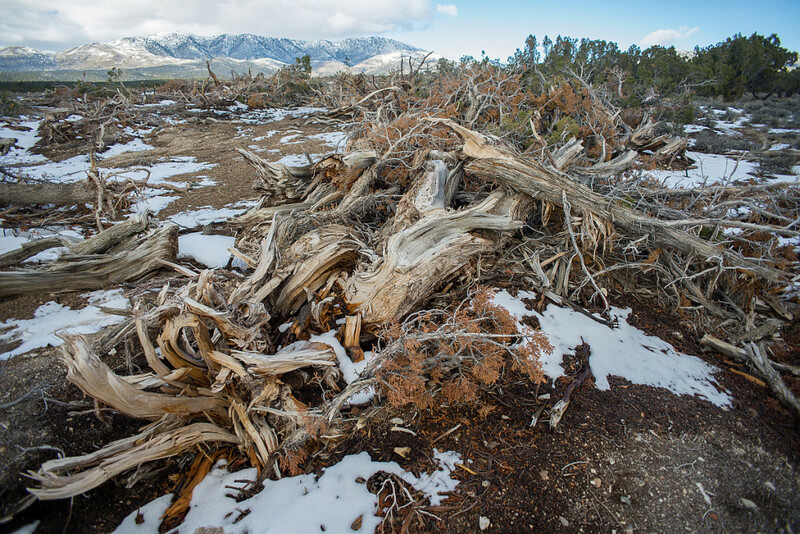 Editor’s Note: The second installment of this multi-part series on pinyon-juniper deforestation can be found here. Will Falk moved to the West Coast from Milwaukee, WI where he was a public defender. His first passion is poetry and his work is an effort to record the way the land is speaking. He feels the largest and most pressing issue confronting us today is the destruction of natural communities. He is currently living in Utah. More information on this campaign can be found at Protect Piñon-Juniper Forests. It reminds me of when the Ents in Lord of the Rings came upon the forest that Sauron tore down to build his war machines, I can hear the soundtrack behind the sadness of this story. The reckless waste of industrial vampirism.